Police are urging the public’s help in finding a 16-year-old girl who has been missing for almost three weeks. Reneisha Brown went missing from her home in Wood Green on Wednesday 18 May. She is described as black, 5ft 5in, of slim build and with black hair. Detectives say the teenager has been travelling in south London using public transport. 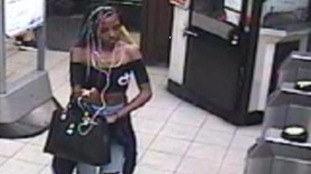 A CCTV image of her at Kennington Tube station on June 2 has been released by police.